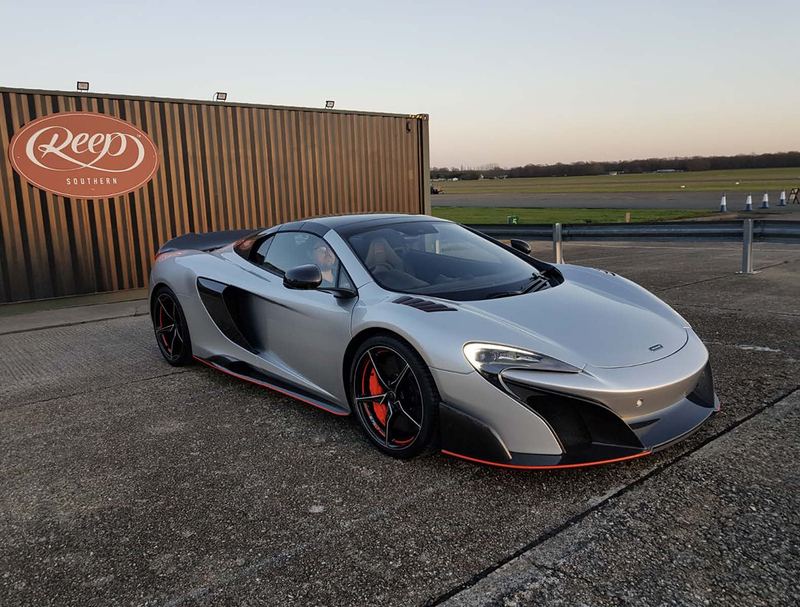 McLaren 675LT Paint Protection: Our Reep Southern studio recently completed work on this stunning McLaren 675LT. 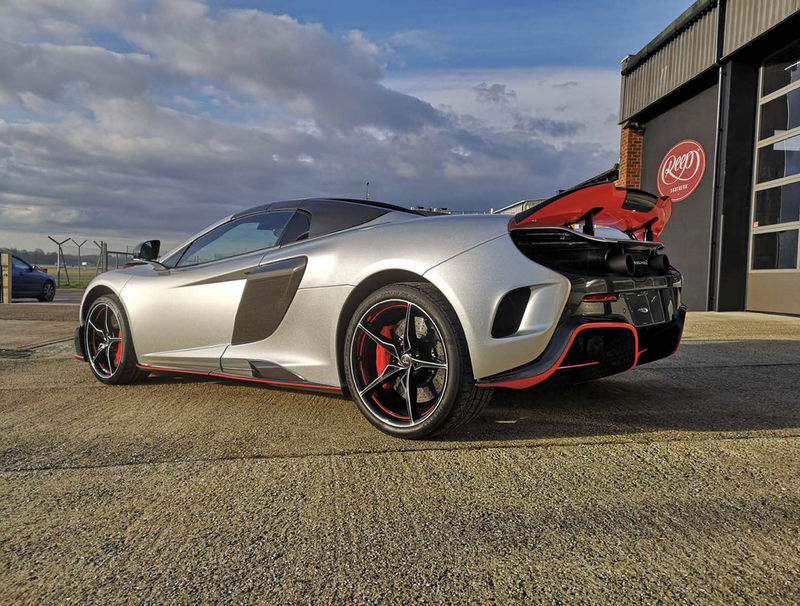 The owner of this particular McLaren opted for our full coverage Paint Protection Kit and Gtechniq Ceramic Coatings. 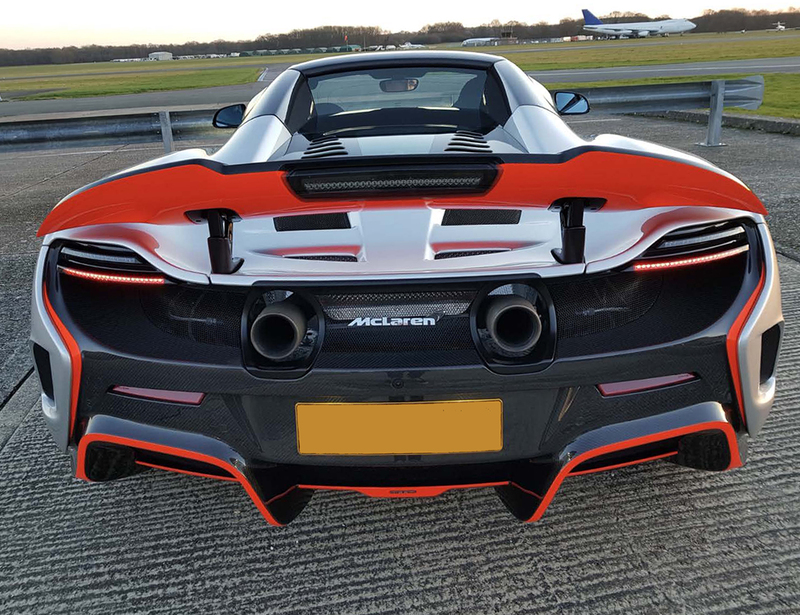 The first job was a snow foam safe wash outside our studio which is located at the side of the Top Gear track at Dunsfold Aerodrome. 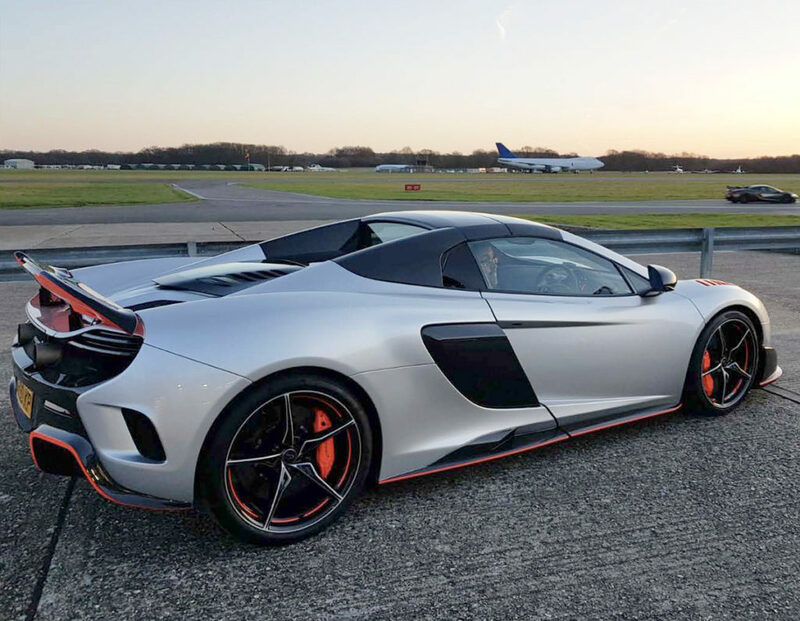 It’s a great location for any car enthusiast and we’re lucky to get to see some amazing cars on track!! 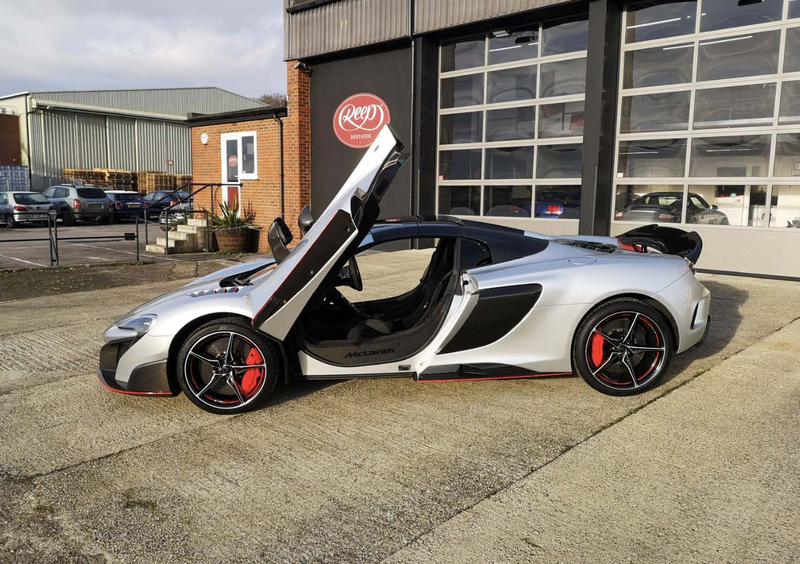 Once washed, the McLaren was then brought in to the studio and blow dried prior to our 22 stage decontamination process. This intensive process ensures the paintwork is contaminant free and prepared to the highest standard before entering our clean rooms. After a final inspection by the detailing team, the car is now ready for the first piece of paint protection film. Installing clear pre-cut paint protection film is an intricate job. The pieces of film are digitally cut using the latest technology to ensure it fits perfectly on areas such as the McLaren’s grills and air intakes. 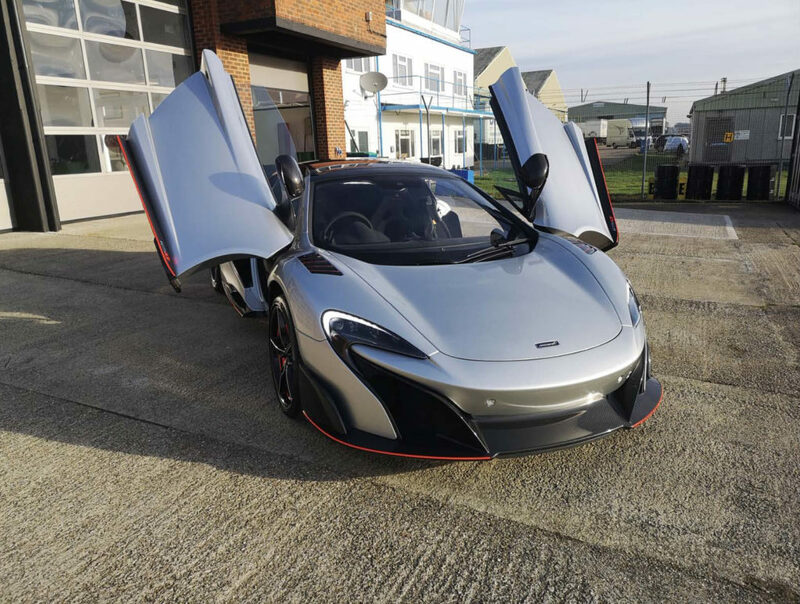 Our team installed Llumar protection film to the entire car, covering all paintwork and carbon fibre. 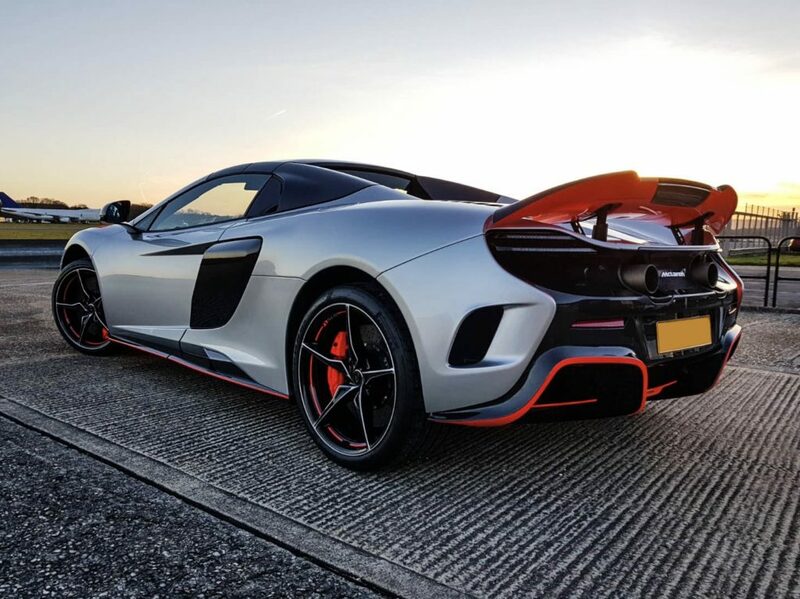 In addition to full body paint protection, Getechniq ceramic coatings were applied onto the McLaren paintwork. Our technicians use a small cotton pad and work on small square sections of a panel at a time until the whole area is protected. 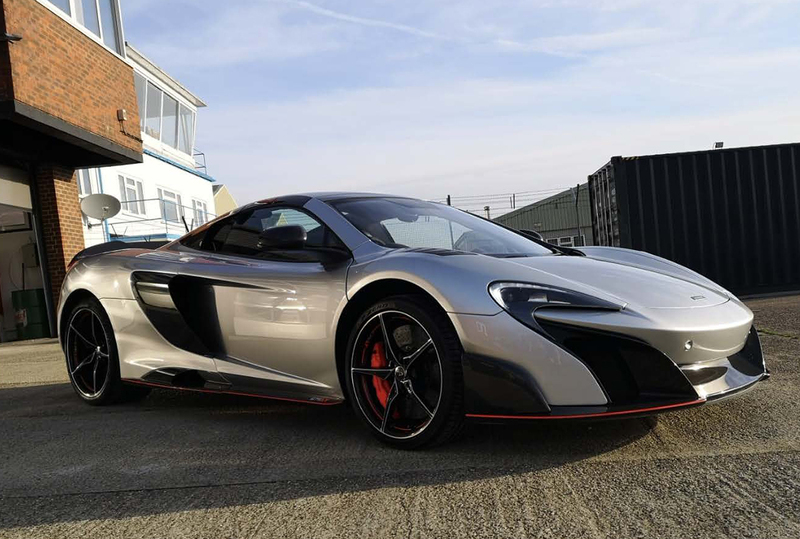 This specialist sealant will keep the paintwork looking glossy and new, prolonging the life of that perfect showroom finish. 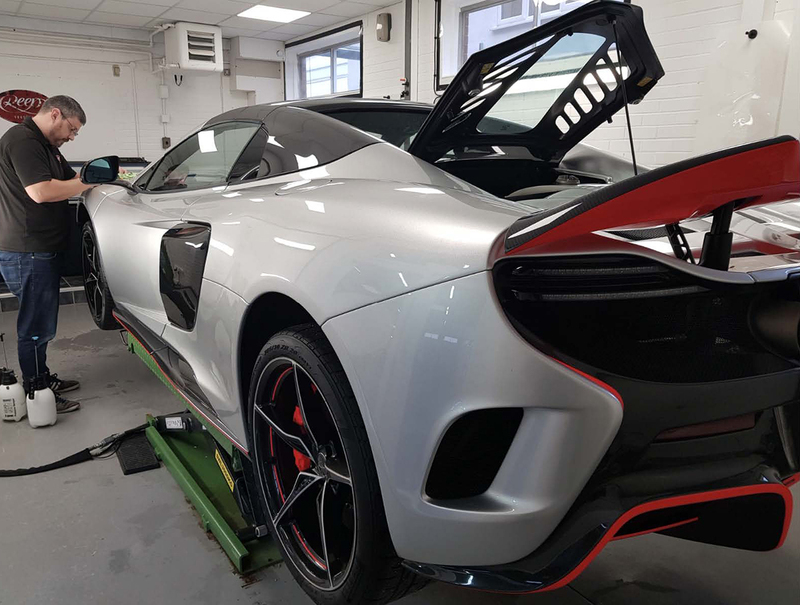 Our detailing studio in Dunsfold has clean rooms designed for the application of LLumar and Premium Shield’s self-healing Paint Protection Film. The same applies when we’re applying Gtechniq’s Ceramic Sealant onto your car. The environment in which these protectants are applied needs to be as clean and pure as possible. Take a look through our gallery of images to see the finished result. 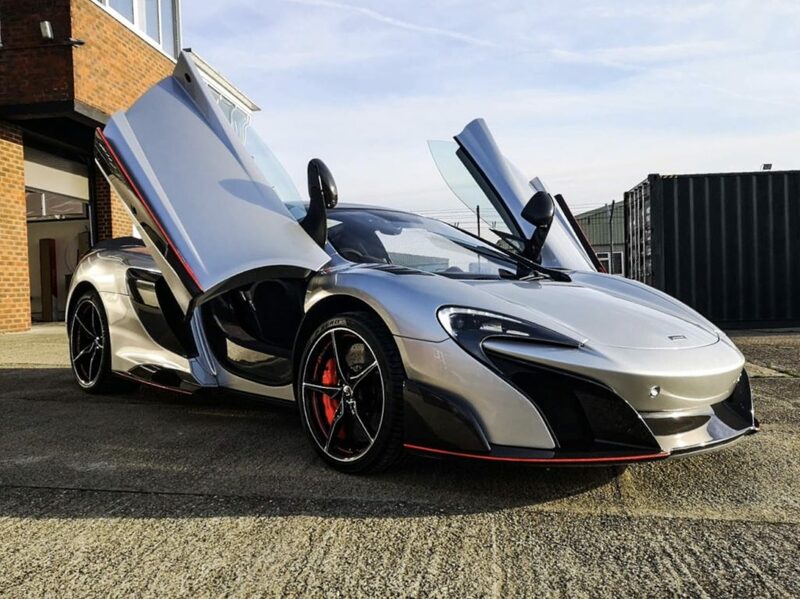 If you’re interested in having your beloved pride and joy protected, speak with our team at our Harrogate studio today. We can provide Paint Protection systems for any car. It doesn’t matter if this is a Fiat or Ferrari, our luxury car care protection products will protect your pride and joy. Included in this is a Ceramic Sealant from Gtechniq, Wax protection from Swissvax, and a self-healing film from LLumar. We are now also able to offer a windscreen protection! It helps to prevent stones from damaging your original windscreen – which can become costly. Call us on 01483 917319 or use the contact form below.